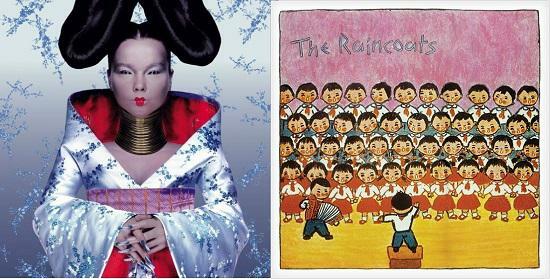 Björk’s 1997 album Homogenic and The Raincoats’ eponymous 1979 debut are the subjects of the most recent installments – published last week – in Bloomsbury’s long-running series of short books on classic albums, 33 1/ 3. On Monday (October 16) the authors, Emily Mackay ( Homogenic ) and Jenn Pelly ( The Raincoats) will be in conversation at the Charing Cross branch of Foyles bookshop in London. Pelly is associate reviews editor at Pitchfork, while Mackay is a former reviews editor at NME, and an Observer and Quietus contributor. Topics will include the lasting influence – with Homogenic celebrating 20 years since its release this year, and The Raincoats the 40th anniversary of their formation – of the two records, links and surprising differences between the artists, and the discoveries made in the writing of the books. Tickets are on sale here, at £8, or £5 if you sign up to the free Foyalty card scheme.